Mythili Anoop teaches at Gandhi Institute of Technology and Management University. Varun Gulati teaches English literature at the University of Delhi. A collection of essays by authors with credentials ranging from purely academic to dance and other occupations, this volume examines issues in representations of dance and dancers, stories and histories of dance traditions and displacement, and negotiation of aesthetics.... [T]his book represents an effort to write outside the now-traditional expositions on India’s dance traditions, and as such, it is commendable. Summing Up: Recommended ... Upper-division undergraduates through faculty and professionals. This fascinating book is not one to be read in haste, because the essays it contains both deserve and require a great deal of concentration. They will reward such attention because they reveal painstaking research on numerous aspects of the manifold forms of classical Indian dance. Careful study will bring a great deal to light not only about those dance traditions, but also about the complex sociopolitical problems that have often bedeviled their performers (as well as scholars) in the twentieth century and beyond.... I highly recommend this book to those who wish to delve further into the rich field of Indian dance. The bibliographies attached to the various chapters are, in themselves, valuable resources. As stories of Indian dance’s renaissance span almost a full century, there has emerged a globally dispersed community of Indian dancers, scholars and audiences who are deeply committed to keeping these traditions alive and experimenting with traditional dance languages to grapple with contemporary themes and issues. 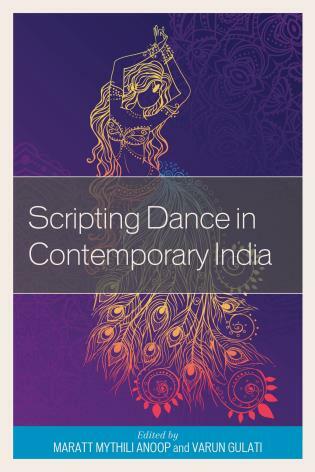 Scripting Dance in Contemporary India is an edited volume that contributes to this field of Indian dance studies. The book engages with multiple dance forms of India and their representations. The contributions are eclectic, including writings by both scholars and performers who share their experiential knowledge. There are four sections in the book – section I titled, “Representations’ has three chapters that deal with textual representations and illustrations of dance and dancers, and the significance of those representations in the present. Section II titled, “Histories in Process” consists of two chapters that engage with the historiographies of dance forms and suggest that histories are narratives that are continually created. In the third section, “Negotiations”, the four chapters address the different ways in which dance is embedded in society, and the different ways in which the aesthetics of a form has to negotiate with social, economic and political imperatives. The final section, “Other Voices/ Other Bodies” brings voices which are outside the mainstream of dance as ‘serious’ art.